Everyone has had the dream at some point. You know what I’m referring to…the original nightmare. You slowly awake to the annoying sound of your alarm clock squawking at you like a chicken only to realize that this was the eighth time you’ve hit the snooze button and have already missed the bus for school. Hurrying as fast as possible, you skip breakfast, managing only to swallow the toothpaste as you crazily brush your teeth, forgo even talking to your parents in an effort to save thirty seconds, then hightail it to school running as fast as you can. Your heart racing, you make it as the bell rings and everyone is pouring out of homeroom, heading off to first period. That’s when you notice that something is different – something that is, for the first time, causing people at the school to notice your existence. But it’s not what you hoped – it’s far worse. You’re naked. That’s when the real alarm clock goes off and you make sure to get dressed FIRST before even getting out of bed just to make sure that this day goes by just like every other day; with no one noticing. Regardless of your adolescent social status, everyone in high school wanted to blend in, mainly because everyone was dealing with the horror of adolescence itself. If you stuck out from the crowd, you were noticed, which, in our fantasies was a great thing, but the risk that your flaws would be broadcast was too strong; therefore, you chose to blend in, despite the true desire burning a hole in your heart. We all long for acceptance – in high school it was called popularity. If we were popular, we would be in charge, get invited to all the parties, and soak in the warmth and love you would receive if everyone liked you. The problem was that you could not reach popularity without working your way through the gauntlet of judgment. All the eyes were on you, and many of them looking for ways to bring you down. You had to have the right friends, the right clothes, the right car, the right…everything. The basis for judgment was purely external, and that exterior expectation meant that there were only a few who could afford the trip to the top. I was certainly NOT one of the “lucky” few. The mercy of it all is that high school is temporary (unless you are Drew Barrymore). We all grow up, and even the gearheads learn that there is more to life than what is on the outside. You don’t have to be the craziest or wear the trendiest outfit to be accepted as an adult. The rules, thankfully, have changed – at least in some circles (GQ probably won’t repost this article, and I suspect neither would US Weekly). Business networking works eerily similar to high school popularity. The most well-known, or the most popular, often achieve the highest levels of success, because in this world, as we all know, it’s not WHAT you know, but WHO you know. That’s why networking is ultimately just like the high school game, but with one major difference. The judgments have changed. While there certainly are a few people who still live by the old rules, you will learn very quickly that they don’t generally succeed in the business world (that’s why you usually run into them at used car lots). Instead of your acceptance in the group being based on outward appearance, you are judged by internal worth. Your ability to be friendly to people, your willingness to give before receiving, and your efforts in helping other people be successful (and to some extent, decent personal hygiene) are the benchmarks by which you are now judged in the networking world. Can you be my friend regardless of whether or not I buy from you? Can you earnestly seek to help a fellow networker with a referral? Will you try to develop a personal friendship before pushing for business? Simply put, if you become popular in the world of networking, you can very easily write your ticket for future success, but it won’t happen because of your Armani suit or your stage dancing ability. As Martin Luther King Jr. once dreamed, you will be judged on the content of your character. If you expect to succeed, you better live up to it. I have never personally met a grizzly bear, and I doubt it would work out well for me if I did. They tend to have big teeth and sharp claws, not to mention being the size of a mid-size sedan. Yet, there is an awe that surrounds even the discussion of their existence. Raw power; rarity; above-average intelligence – these are all characteristics of this seemingly un-tame-able creature with a penchant for salmon. Other than making a series of odd, pop-culture jokes, where is the point in writing about Winnie the Pooh’s nastier cousin? Simple: everyone is afraid of them, yet everyone wants to catch at least one. 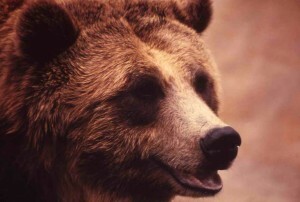 Many Native American tribes viewed the grizzly as a god; Timothy Treadwell looked on them as brothers (ultimately a Cain and Able type brotherhood). Despite all the mystique and wonder surrounding the bear and our North American heritage, one thing is for sure: they were at one point the final hurdle in man’s climb atop the food chain. No matter how large, dangerous, fast, or angry a grizzly could be, man still saw them as a prize to be subdued and conquered. Historically, hunted grizzlies were used for many reasons such as food, clothing, jewelry and even dance rituals. Today hunting a grizzly is really only for a show of manhood (similar to the guy who tries to show off in his outlandishly expensive sports car). Overcompensate much? We can’t stop though. There is just something captivating about conquering the unconquerable. There are very few Grizzly Adams left in the world—most of them have transformed into Gordon Gekko. Business has become the new frontier, and the frontiersmen of this new world are entrepreneurs. With each new business that opens its doors, it paves a way for countless others to live up to their ancestors and hunt the grizzly. What, though, is the grizzly in today’s world? Since I’ve never seen anyone in a business suit fully armed and tracking a bear in the forest, I’m proposing that the perfect customer for your business is the grizzly bear. The grizzly is that one customer, who, if you could replicate them, would keep you fat and happy until the end of time replicating and upselling themselves automatically. The problem is, though, that they are not easy to find or to conquer. It may take a lot of effort, or a lot of marketing and sales strength to get the job done. You may have to go the extra mile and “walk a mile in their shoes” while giving them your cloak as well. Have you conquered that frontier? Can you picture that perfect customer in your head, or do you even know what they look like? While it is technically possible to wander around in a forest and accidentally run into a grizzly, chances are you stand little chance of success in your hunt unless you do a little background work. For example, don’t go looking for grizzlies in Ocala National Forest (if you don’t know where that is, that’s why you need to do some research). And how many grizzlies do you want/need? Hunting the grizzly can be a dangerous, but rewarding (and very profitable) experience.